Whenever I ask someone, ‘Hey, what are you reading?’ and they shrug and answer ‘Oh, just some fantasy,’ I always cringe at the lack of specifics and have to bite my tongue before blurting out ‘But what kind? !’ and start listing them to my unsuspecting victim. Fantasy is such a rich genre, that it encompasses many sub-genres that are all very different to each other. Some fantasy books are hard to categorise, due to having elements of many fantasy sub-genres. In this guide to fantasy genres I’ll do my best below to explain some of the different types of books you can come across in the amazing section that is the fantasy shelves. This type of fantasy takes place in alternative, completely fictional settings. It is sometimes known as Immersive Fantasy because the reader is thrown into a new world, with its own history and geography. High Fantasy is usually characterised by its plot, which would involve a grand struggle with consequences of epic proportions, such as Frodo and the Fellowship of the Ring’s journey in The Lord of the Rings trilogy. High Fantasy is often also called Heroic Fantasy, because of its tendency to follow a hero’s journey on their quest. For example, Terry Goodkind’s Sword of Truth books follows Richard and Kahlan in their quest to overthrow the evil ruler Darken Rahl (ok, it’s slightly more complicated than that.. but there are eleven books and it’s getting late). This type of fantasy tends to rely on the idea of ‘Good vs Evil’, although more recent offerings of the genre have tried to move away from this, creating characters hard to put into either category. George R.R. Martin’s A Song of Fire and Ice series is a good example of this ambiguity. Image courtesy of Scifi Now. Urban Fantasy is set in the ‘real’ world, or the world as we know it with magical elements thrown in. The idea is to have the fantasy element creeping in at the edges, so not everyone in this world would be aware of the fantasy. One of the best examples in my opinion would be Buffy the Vampire Slayer (the show—not the film—for obvious reasons). Urban Fantasy is also known as Contemporary Fantasy, but because most of the books that fit into this category are set in present day cities, the term ‘Urban’ was adopted. Cassandra Clare’s The Mortal Instruments is set mainly in New York and takes full advantage of the setting. Clare describes her love of urban setting as ‘want[ing] to create a world where the city has become the forest—where these urban spaces hold their own enchantments, danger, mysteries, and strange beauty.’ (read the rest of the interview here). Other well know Urban Fantasy series are the Anita Blake: Vampire Hunter books (the early ones) or, for a Young Adult approach, Melissa de la Cruz’s Blue Bloods—a sort of Gossip Girl meets vampires/angels—or Meg Cabot’s Mediator series, where a moody teen deals with ghosts for a living. As its name implies, Mythical Fantasy is based on myths or fairytales. It consists mainly of retellings or reinterpretations of popular legends, myths, or tales. Looking at my shelves, I’d have to say this is probably the dominant type of fantasy on there. When I’m stuck for inspiration, I turn to fairytales. They are fantasy stories that have been around for years, so they must be doing something right! 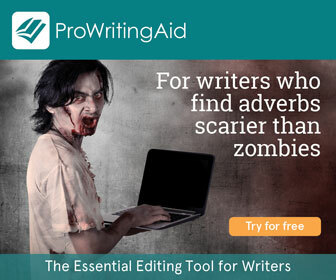 They are also great to practice your writing skills on, since they have basic generic plots that can be added to or twisted in any way you want. The characters also fit into a certain mould, so you have the freedom to impose any personality or characteristics you want on to them. Many great books and series have been born from fairytales such as Cinder—where the Cinderella character is a cyborg—or Beauty, a beautifully evocative retelling of Beauty and the Beast. Arthurian Fantasy is also included under this label. These retellings can be set in the past or sometimes retold from a modern point of view. This type of fantasy attempts to tie up the loose ends of the Arthurian mystery; a story that resonates through the ages and can be related to our own societal values. The story has been added to and has changed over time. Merlin and Camelot are two good examples of this: both shows are contemporary but take the same story in completely different directions. As for books, Avalon High brings the Arthurian legend to an American high school; whereas The Mists of Avalon retells the legend of King Arthur through the eyes of the women who wielded power behind the throne. Real world fiction is infused with magic in Historical Fantasy, creating interesting and fantasy-rich alternative histories. These can be small elements, such as the existence of real witches during the witch trials or slightly more ambitious, like the existence of zombies and Queen Victoria somehow becoming immortal and still ruling Britain. Historical Fantasy takes interesting times from our history, and adds its own fantastical twist to the tale. Lian Hearn reimagines feudal Japan in his Tales of the Otori giving the different clans ‘talents’ or powers passed down through the generations; while Juliet Marillier does the same for 9th Century Ireland in her Sevenwaters Trilogy, using the myths and folklore attached to the country to infuse her tale with a sense of wonder. Dark Fantasy combines elements of fantasy with elements of horror in order to create rich, dark atmospheres. 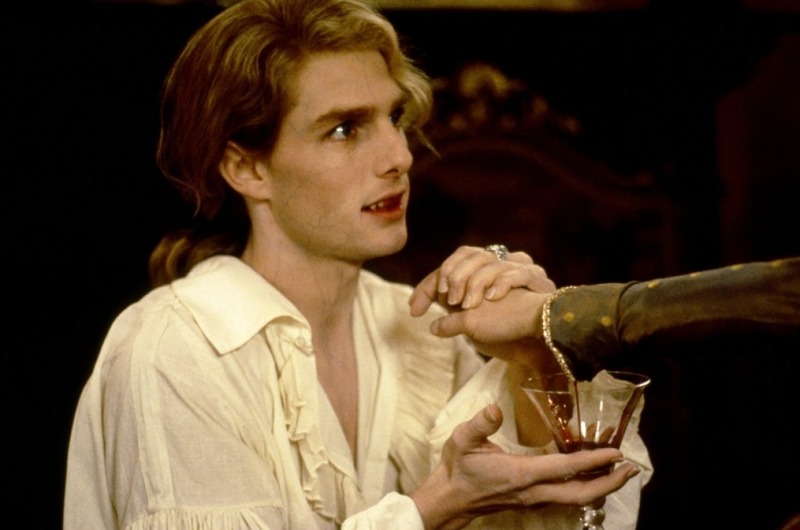 These stories can be told from the point of view of characters we’d consider monsters such as Anne Rice’s Interview with the Vampire. They offer insight into the other side of fantasy literature. Characters who would usually be cast as antagonists are now narrating their own tale, or are a main character in someone else’s story. Sookie Stackhouse from True Blood is dating a vampire, a far cry from Buffy’s vampire slaying days. I’d tentatively put Chronicles of Nick into this category, even though it has many elements of Urban Fantasy. The main reason I’d say it fits into Dark Fantasy is because Nick is the spawn of the evilest demon around. Because of this, he is hunted down by pretty much everyone that wants his power. Everyone has different ideas of what comprises Magical Realism. It’s similar to Contemporary Fantasy, but it involves more subtle magic or fantastical elements that seem to be accepted by all in the story. Only one element in this world is unrealistic or different to the ‘real’ world but it is accepted. For example, a family member not ageing or the gift of foresight passing down through the generations. The Curious Case of Benjamin Button and Practical Magic are films that, to me, embody my definition of Magical Realism. They are both adaptations: Benjamin Button was adapted from a short story written by F. Scott Fitzgerald published in 1922. Isabel Allende’s The House of the Spirits is another well-known book that fits into the Magical Realism category. Fantasy is a broad term that encompasses various sub-genres. I hope the I’ve given you a better idea of what to look for when of reading fantasy and hopefully introduced you to some new genres, too.